There have been quite a few eye-catching performances in England's domestic Twenty20 tournament -- the Vitality Blast 2018. Big names have made a huge impact with both the bat and ball -- the likes of Jofra Archer and Tymal Mills have taken hat-tricks while Ian Bell and Aaron Finch have piled on the runs. 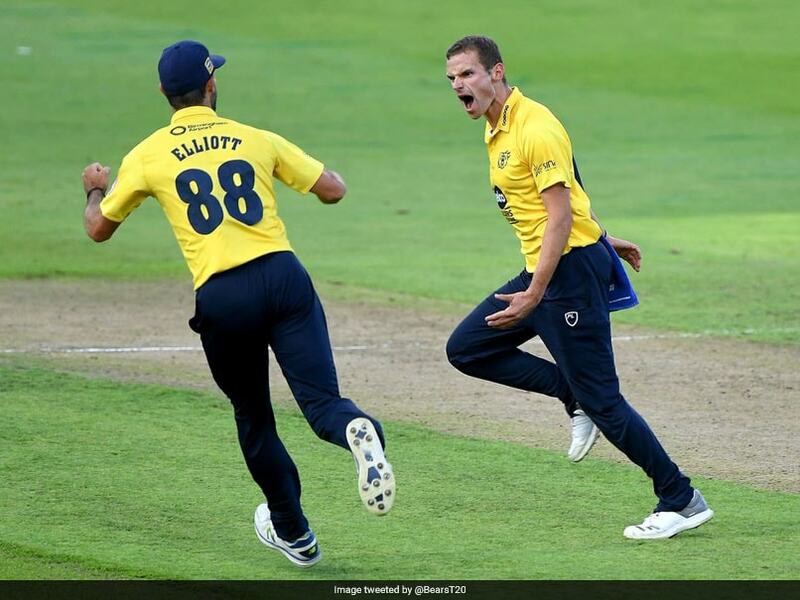 However, on Wednesday little-known Josh Poysden of Birmingham Bears grabbed the limelight by delivering arguably the ball of the tournament that left Lancashire Lightning batsman Steven Croft in complete disbelief. Birmingham went on to register a comfortable seven-wicket over Lancashire at Edgbaston that kept them in the hunt for a place in the quarterfinals. The loss didn't damage Lancashire's chances of progression with the team already assured a place in the last eight. But Birmingham's overall performance would have sent a message to all their rivals that last year's runners-up have not given up despite their precarious position. It was a complete performance from the Bears. Having lost the toss and bowling first, Birmingham produced the goods with the ball. Olly Hannon-Dalby inflicted most damage with his four for 20 instrumental in bowling out Lancashire for a paltry 102. Leg-break hero Poysden took just one wicket but was economical in his four-over spell. A 68-run partnership between Ian Bell (34) and Ed Pollock (36) made sure there were no hiccups in the chase for Birmingham as they eased to a seven-wicket with 35 balls to spare. Birmingham Bears now need a favour from Northants Steelbacks, who face Yorkshire Vikings on Thursday. If the Steelbacks beat Yorkshire at Wantage Road, the Bears could still qualify with victory over Worcestershire Rapids at Edgbaston on Friday.